A new year means another opportunity to learn from the past and live your best life. We love new beginnings. There’s just something exciting and refreshing about discovering the possibilities in what lies ahead. Whether it is the birth of a gurgling baby, so small and filled with life, who can grow up to be anything he wants; the purchase of a new home with its big empty rooms and unadulterated décor, waiting to be transformed into an inviting den in which family and friends can gather; or a blank page or canvas which has the potential to be filled with strokes of creative genius; everything new has the potential to be something fantastic that is remembered for many years to come. This is why we love hanging up a new calendar, planning another year of events, and welcoming the chance to craft new dreams, make new friends, and forge new paths through the journey that is our life. Throughout 2011, we witnessed many events that changed the course of history and significantly impacted our culture. We all watched in horror as a 9.0-magnitude earthquake, tsunami with 30-foot waves, raging fires and a nuclear meltdown ravaged Japan, literally changed the landscape and left 15,703 dead. For us the story was made personal as we worried about friends who lived there and the journalism colleagues like Hagit Limor who visited with the Society of Professional Journalists and suddenly found themselves caught in the midst of the maelstrom. Then there were the twisters that tore across the country last April, breaking records as 753 tornadoes killed 364 people in the American Southeast. Having grown up in tornado alley, I know the terror that comes when warning sirens blare, the rains pour down horizontally, the skies turn green and the winds batter your home, tearing at it like vicious claws, threatening to destroy everything you possess. That scene came to vivid life for the residents of Joplin, Mo. when an F-5 tornado flattened a third of the city and claimed the lives of 157 people. Steve Jobs, the creator of Apple, died. He was a brilliant man who changed the way we listen to music via the iPod, altered the way we communicate with the invention of the iPhone, and even made the sharing of ideas easier with the iPad. Like so many of you, we utilize his products daily and wondered what would happen to the company following his death. Yet his legacy continues, his dreams live on, and every day a growing number of customers utilize the tools he created while corporations around the globe strive to keep up with his fascinating, game-changing concepts. Oprah Winfrey brought the “The Oprah Winfrey Show” to a close after 25 years. Many of us grew up with her, inviting her into our homes each day and watching as she taught us countless lessons about life, relationships, and the importance of pursuing dreams, forgiving others, and living without regrets. But as the last episode aired, Winfrey already had big plans for the next chapter in her life, the birth the Oprah Winfrey Network, and the people she will continue to interview, the stories she wants to share and the goals she needs to accomplish. The past year is now but another chapter in the tome of our human history, a time that will go down in infamy as one of great loss, unfathomable disaster, and heartbreaking tragedy. The end of 2011 gives way to yet another year, a chance to be reborn like the mythical phoenix that dies in flame and is reborn in the ashes. As Greek philosopher Plato once said, “The beginning is the most important part of the work.” Now it is our time to learn from the lessons of years past, roll up our sleeves, embrace this new moment in our lives, and diligently strive to make the best of 2012. We hope that all of you take this opportunity to lick your wounds, heal from the tragic losses we’ve all shared and those that are personal to you. As you do so, strive to live without regret, focus on the blessings you did receive, and keep your heart open to the little miracles that happen every day. We hope you have a phenomenal year filled with precious moments, comical episodes that make you laugh out loud, and enough love to buoy your hearts come what may. What events most impacted you during 2011? What goals do you have for 2012? Tell us on Facebook! 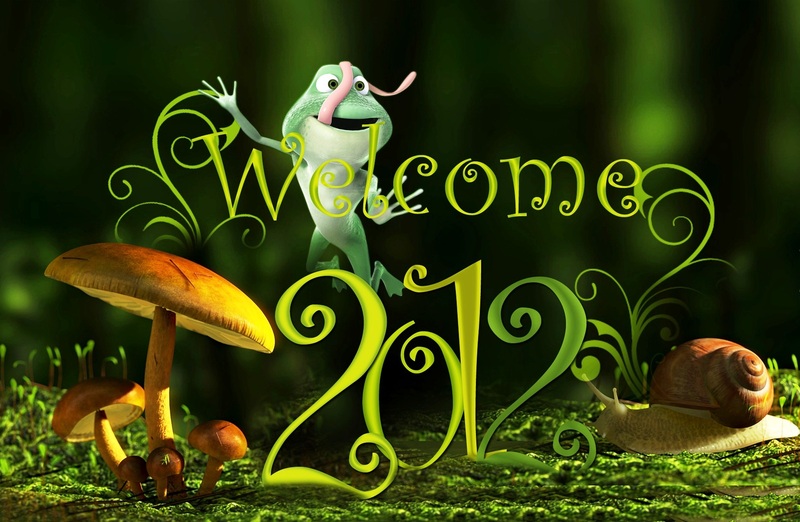 Share your memories from 2011 and tell us your plans for the new year. © 2012 Jadeworks Entertainment. All rights reserved.